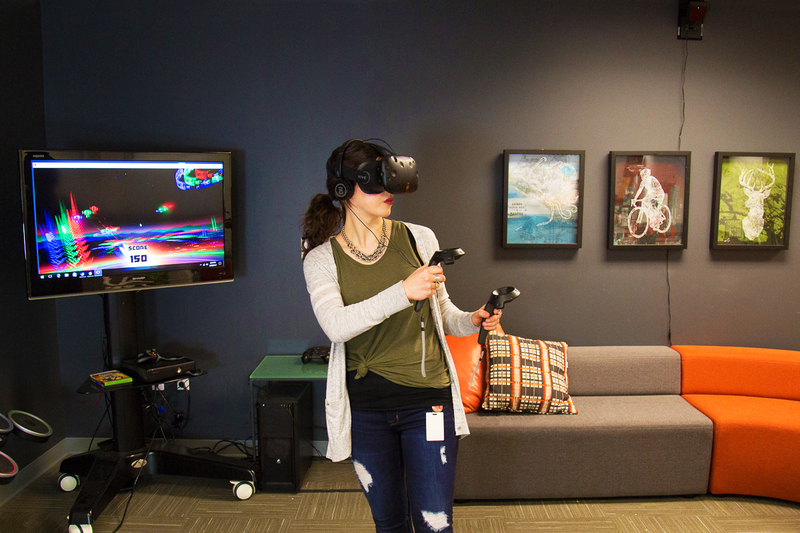 Last fall, Synapse was in full swing offering 17 SteamVR Tracking Trainings to Valve's SteamVR licensees. Synapse had never offered training courses before, so it was fun and challenging to build out this program. Having been a Product Manager with oversight of a training program in a previous job, I knew what would make it work... LOTS of coffee. The Synapse team spent several weeks ensuring that by the start of our first course, our operations and training were seamless. We implemented a registration system and a guest check-in process to make it easy for the 150 attendees who came through our doors. We developed over 200 pages of course content, including additional documentation to support the training participants during and after the course. We answered hundreds of phone calls and emails, helping people decide if the training was right for them. And of course, thousands of cups of coffee were drank by the Synapse team and the attendees! What I didn’t realize was bringing together so many people from around the world on the cutting edge of VR would be incredibly inspiring. When Synapse committed to offer the SteamVR Tracking Training, I clearly understood the effort it would take to get the training up and running. What I didn’t realize was bringing together so many people from around the world on the cutting edge of VR would be incredibly inspiring. We hosted attendees from dozens of countries including Ireland, Japan, China, France, England, Sweden, Canada, Australia, Germany, Russia, Israel, Netherlands, Norway, Italy, Brazil, Argentina, New Zealand, Mexico . . . and across the United States (red and blue). The diverse attendees connected over the passion they felt about the opportunities for VR technology. There were many deep conversations about how virtual reality will change the way we live, and the improvements still needed to get us further down that path. These face-to-face conversations helped build relationships that continue even after the training, and were just as valuable as the training itself. While the majority of folks were focusing on gaming applications (awesome things to come! ), we had a few attendees who were planning to use the technology to solve medical, research, and environmental issues that all of us may benefit from if they are successful. I am grateful that many talented engineers from around the world are seeking to connect and share with the technical community, regardless of the miles that divide, to find solutions to problems that cross borders. Diversity of thought and culture leads to innovation and discovery. Over the last several months, we have heard a lot about walls, travel bans, and nationalism. Having been in the tech industry for more than 15 years, I know that diversity of thought and culture leads to innovation and discovery. I hope that those of us in this field continue to fight for collaboration, regardless of political obstacles. All of us care about our families and communities and we hope that new advances in technology will make a better life for all of us. Wherever we call home.